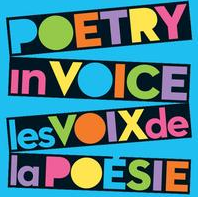 All members of the ESA Community are invited to join us in the Library after school today, Monday March 2nd, for this year’s Poetry in Voice In-School finals. The recitations are scheduled to begin at approx. 3:20pm, and should be concluded by 5pm. Best of luck to all of our participants. Richview United Church Showcase of Stars 2015 is looking for talent. This year’s Gala is scheduled for the evening of Saturday, April 25th. Individual, group and ensemble acts are welcome. ESA has a long standing relationship providing performers for this annual fundraising gala event. Any interested students should contact Ms. Wray (enid.wray@tdsb.on.ca) for additional information. Use this link to access the full suite of social media sites your ESA Library has on offer. Sign up to automatically receive the bi-monthly Library Newsletter, the App of the Week, as well as other special alerts from the ESA Library.